Calling all animal lovers, Pet Express is holding the Dog and Cat Expo 2018 on July 14 to 15 at the SMX Convention Center in Pasay City. In partnership with CARA Welfare Philippines, Pet Express annually holds the expo for animal enthusiasts around the Metro. This is Pet Express’s seventh year running the popular expo. As always, the event is free admission and attendees are highly encouraged to bring along their pets. This year’s theme is Campus Cuties, and a costume contest will award cats and dogs dressed in theme. Likewise, CARA Welfare Philippines will be collecting selfies of costumed animals posted on social media for their 2018 “honor roll yearbook.” If you’re interested in being part of this, post your pet’s selfie on the Pet Express Facebook page with the hashtag #DogAndCatEXPO2018forCARA. Each selfie also counts as a donation towards animal shelters around the country; if 1,000 photos are posted by July 15, Pet Express will meet their pledge to CARA Welfare Philippines. 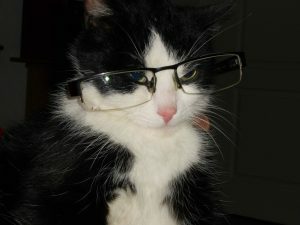 Betcha didn’t think cats in funny glasses could be used for a cause. Aside from the costume contest, many other activities are lined up for the stage. If you want to learning something new, you can drop by the pet care talks by Gen Reyes of the TV show Cesar’s Recruit and Jojo Isorena of the BetterDog Canine Behavior Center, among others. Pet owners looking for something more exciting can look forward to OCR Dogs of Philippine Obstacle Sports Federation’s dog sports demonstration. There will also be dog food and cat treat eating contests for those that have pets with voracious appetites. Attendees can also roam around the event to visit the different booths. If you’re thinking of getting a new pet, visit the adoption booths set up by CARA Welfare Philippines and other organizations. There will also be booths where people can also sign up to volunteer for various animal rights organizations and buy exclusive merch. Learn more about the event by visiting the Pet Express Facebook page.